Join us tomorrow for the Final Round of the 2018 N.O. Int'l Piano Competition! "A Tricentennial Salute" Concert Coming Up! Concerto Showcase X this Saturday! 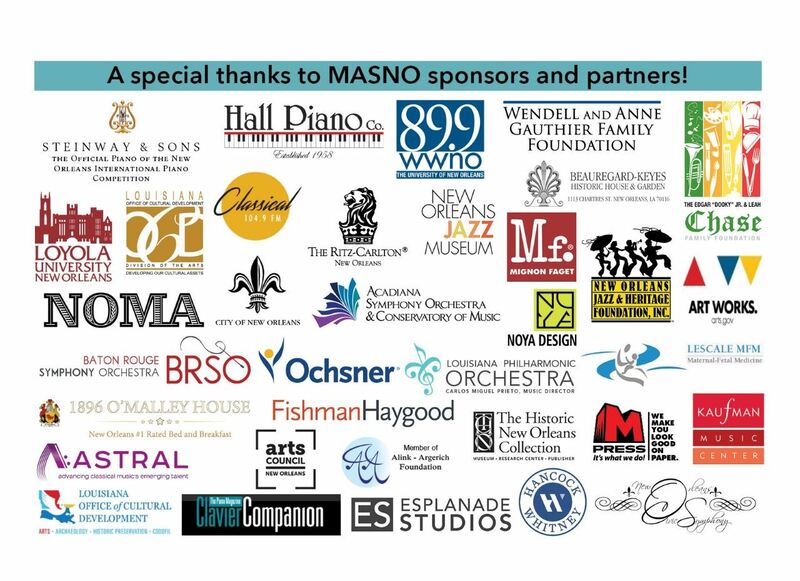 MASNO's New Orleans Piano Institute awarded Gambit's Big Easy Tribute to the Classical Arts Special Education Award!